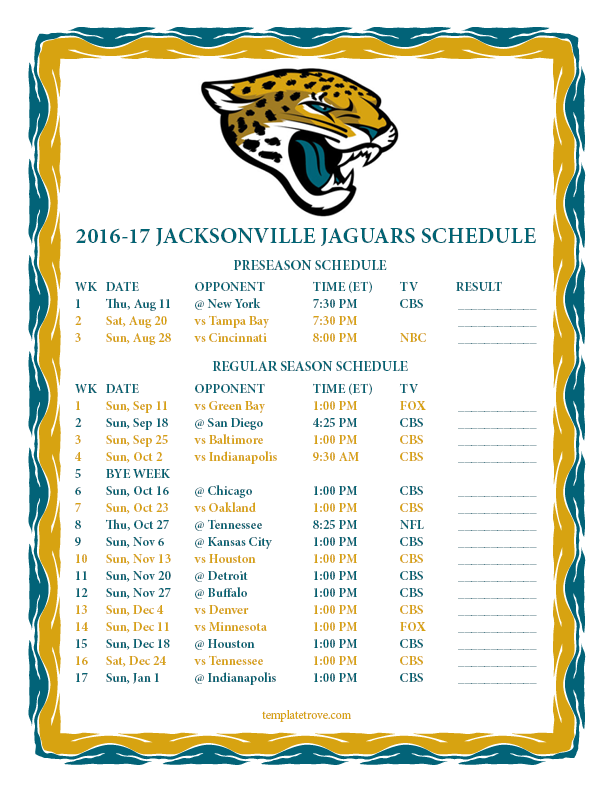 The Jaguars completed the 2015 regular season with a record or 5-11 and missed the playoffs for the 8th straight season. 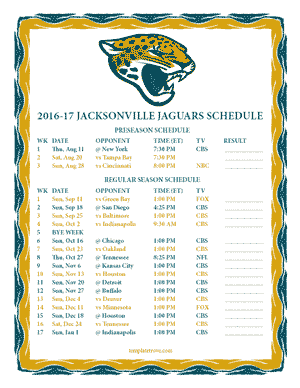 Jacksonville competes in the AFC South with the Houston Texans, Indianapolis Colts and the Tennessee Titans. The Jags will play a week 4 game in London's Wimbley Stadium against the Colts in a 9:30 a.m. kickoff. They will also play at Tennessee in a week 8 Thursday night match.